A few people have stopped by the Fabric Shoppe asking for scrap packs to make this Tiffany Quilt by Rita of Red Pepper Quilts. Isn't it gorgeous?? I just love the modern look!! 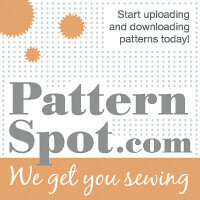 And guess what... patterns are available in the rpq Etsy shop in PDF form so you can get started tonight!! We have scrap packs available in a 3 different sizes if you need some more for this project! I haven't posted anything about this quilt i started about a year ago. Mostly because I still have to bind it and also the pictures I took were not that great. But thought i would throw it up here anyways. I would say this is my FIRST real quilt. I have made a few tops and one rag quilt before. I made it for my daughters big girl bed and I am pretty happy with how it turned out! Started with Quilt Dad's tutorial for Wonky Log Cabin Squares. "look what mom's making me"
I had it long arm quilted at a local shop. I can't wait to wash it so it scrunches up a little! So now off to research all the great quilt binding tutorials out there. Love this Knit Skirt Tutorial by Knitty Bitties! Follow her blog you will love her pics, creativity and inspiration! I am loving these ruffle items by Sew Chatty on etsy. And really really reasonable! Great gifts! Some Valentines inspiration from Martha Stewart! 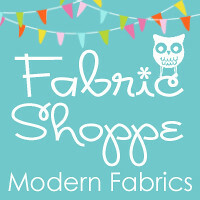 Sweetie Pie Giveaway... Free Fabric!!! 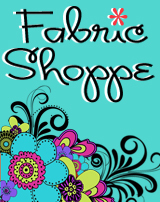 Kelle Boyd wanted me to let you know that she is doing another great giveaway of Ann Kelle Designs fabrics! You can enter to win this bundle of 4 yards just leave a comment on the Ann Kelle Designs blog under her post! Good luck! !